CHOCOWINITY – Cypress Landing Golf Club has retained its designation as a “Certified Audubon Cooperative Sanctuary” through the Audubon Cooperative Sanctuary Program for Golf Courses, an Audubon International program. 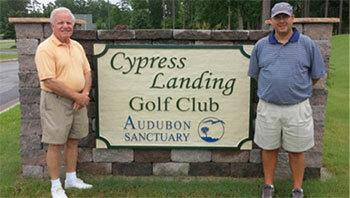 “Cypress Landing Golf Club has shown a strong commitment to its environmental program. They are to be commended for their efforts to provide a sanctuary for wildlife on the golf course property,” said Doug Bechtel, executive director of Audubon International. 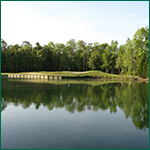 Cypress Landing Golf Club is one of 18 courses in North Carolina and 902 courses in the world to receive the honor. Golf courses from the United States, Africa, Australia, Central America, Europe, South America, and Southeast Asia have also achieved certification in the program. The golf course was designated as a Certified Audubon Cooperative Sanctuary in 2011. After designation, courses go through a recertification process every two years. For more information, contact Audubon International at 120 Defreest Drive, Troy, NY 12180, 518-767-9051, e-mail at acsp@auduboninternational.org, or visit the website at www.auduboninternational.org. Please call Southern Seeds by Monday August 18th at 1-800-682-1102; so we can make adequate accommodations or use E-vite to inform us that you are coming, but do not use both. Our fundraising tournament sponsored by Cardinal Chemical took place on May 15 at Wedgewood Golf Course in Wilson, NC. Thanks to Daniel Lancaster and his staff for having the course in great condition. Les Bailey, CGCS, and his team from TSP were the runaway winners followed by Chris Parham, GCS and his team from Greenville Country Club. The teams from Green Resource, Southern Wayne Country Club and Wilson Parks & Recreation rounded out the top five. Eric Woods, Jeff Harold, Les Bailey, CGCS and Mark Bitzenhofer were our closest to the pin winners; and Jacob Kallam and Mark Miller were our long drive winners sponsored by Halifax Fertilizer and Best Sand & Gravel. On June 19th our meeting was held at Morehead City Country Club hosted by Willie Toms. Mr. Rick Fetcher from NuFarm spoke about fungicide resistance and rotation. Mr. Fetcher did an excellent job. After our meeting, everyone enjoyed a beautiful day of golf. Dale Edmonds hosted our family night at the Wilson Tobs baseball game on July 24th. This event was sponsored by Vandemark Farms. This was a great opportunity to relax and spend time with our families. Our next meeting will be at The Emerald Golf Club hosted by Phil Kilmer on August 21. A representative from the Carolinas Golf Association will be our speaker and he will be speaking on “How to Mark Your Golf Course”. In September we will have our Annual Golf Championship at The Sound Golf Links at Albemarle Plantation hosted by Mike Horton. Leon Lucas will be speaking on what we saw in the summer of 2014. We would like to thank all of our 2014 sponsors and invite all of our members to our next few meetings. Please visit our website at www.encta.org and our Facebook page for more dates and information on our 2014 schedule.